It’s rightly said, “Culture eats strategy for lunch”. What does it mean? It means no matter what strategic plan you try to implement with your team, its success and efficacy are going to be held back by the people implementing the plan if the culture does not support it. I understood it better when I started my internship in a grade 5 classroom of American School of Bombay. A lot of importance is given to set the right classroom culture right from day one. It was interesting for me to see how the culture was created with the help of students and not by forcing rules on them. The first day of their school the entire class 5 gathered in their common area called the hub. During that time the common lunch agreements were discussed by prompting from the teachers. Thought to provoke questions like “How would lunch sound like/look like as per you?” This helped the children brainstorm and come up with discussions and finally the agreements for the entire grade. Thus, the whole grade 5 agreements were made for recess and lunch as they all are together during that time. On the next day, the children were invited on the carpet to discuss the main agreements of the class. After a lot of prompting from the teacher as well as brainstorming from the children, the three main agreements were finalised for the class – Be courageous, Be responsible and Be compassionate. The children were then put up in three small groups to role-play the final agreements. Each group was asked to model one of the agreements. The children discussed ideas amongst themselves to dramatize the act given to them. They came up with creative ideas to demonstrate their topic. The teacher took pictures while they were demonstrating their acts which were later printed and put up on the walls of the class to remind them of the main agreements. After the main agreements, other agreements regarding transitions, quiet time, using the bathroom, use of physical space and materials, seating arrangement and several other things were made by the children. All of these agreements the children are expected to follow and the teacher also repeatedly reminds them of the expectations. 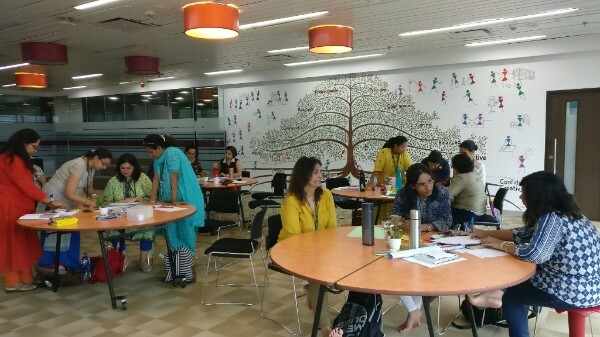 The agreements have helped in shaping the classroom culture which is inclusive, values empathy makes them responsible and allows them to reflect on their behaviour. These values are repeatedly discussed, revisited as well as reminded time and again throughout the day. I can see that when every single person in the class including the teacher agree on and abide by the values, it helps everyone to think on similar lines and work together more efficiently. The class can function smoothly with minimum confusions or conflicts as all are aware of the class expectations.